Alfa Laval PureBallast 3, the third generation of manufacturer Alfa Laval's ballast water treatment technology, has received an updated type approval from the U.S. Coast Guard (USCG). 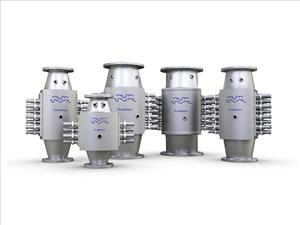 Alfa Laval PureBallast 3 was awarded an updated certificate from the USCG on April 4, granting the system type approval with zero-day holding time in all water salinities. PureBallast 3 owners in U.S. waters now have the option of discharging ballast water just 2.5 hours after taking it on. The holding time of 2.5 hours, which is due solely to a technical testing procedure, is only applicable if the vessel crosses over into another Captain of the Port Zone within this very short time. Holding time is a designated interval between the completion of ballast water uptake and the start of ballast water discharge. PureBallast 3, like many other treatment solutions, has had a mandatory holding time when operating under USCG legislation - despite having no such requirement under IMO legislation. The reason UV treatment systems have had holding times in U.S. waters is the difference in testing methods used by the International Maritime Organization (IMO) and the USCG to verify biological disinfection performance. However, the recent signing into law of the Vessel Incidental Discharge Act (VIDA) paves the way for the USCG to re-evaluate the IMO-endorsed method. If the USCG decides to accept the same testing principle used by IMO, suppliers of UV treatment systems will likely be able to reapply for USCG type approval based on the IMO testing methodology.